It’s been an amazing month for us here at App Virality HQ. 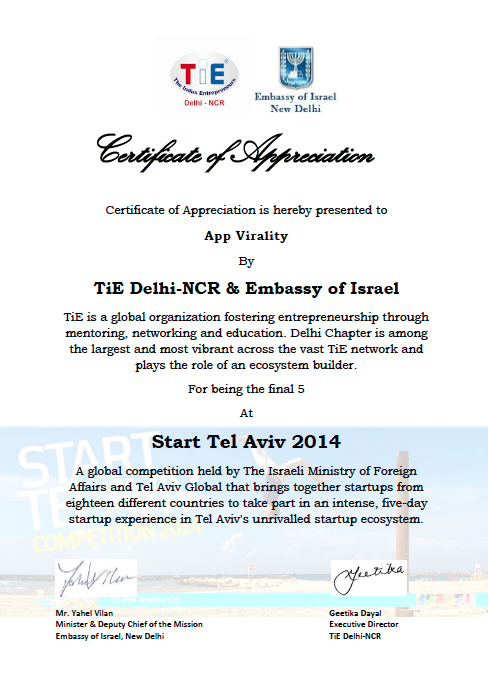 This August we got into final 5 of Start Tel Aviv 2014 competition and received Certificate of appreciation from Embassy of Israel. On traction side, we are seeing awesome response and product is shaping up well every day. Soon i will write an in-detailed article on how we cracked first 10 customers and their response along with results driven.